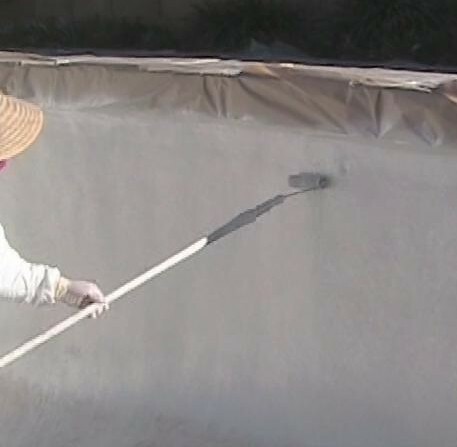 The photo above shows the final protective top coat being sprayed on a fiberglass resurfaced swimming pool. 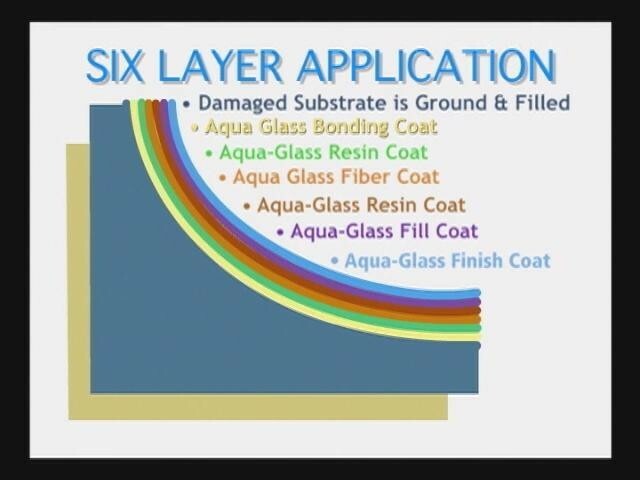 A lot of people might tell you fiberglass is not the way to go....I hear re-plaster guys saying all the time how they get calls from people who want it torn out and replaced with another type of surface. 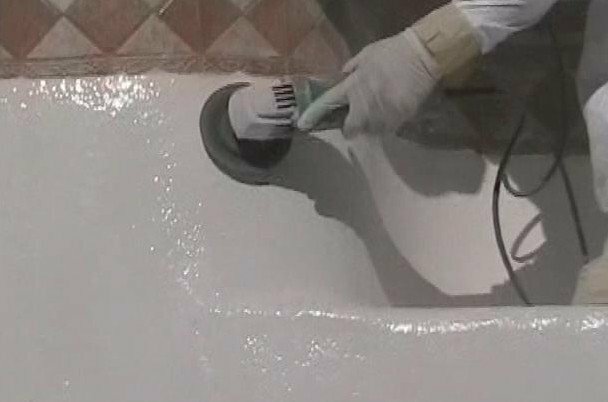 While that may be true I believe fiberglass resurfacing has gotten a bad rap because some companies out there are not installing it correctly, or are using inferior products. The photos on this page are from a company thats been around a while - they have been using the processes shown on these pages since 1994, before that they were using different techniques. They offer a 15 year warranty on the product, and 5 years on the labor. This type of surface has less problems with algae than plaster because its not as porous - the algae can easily be brushed away. Also, it stands up better to chemical imbalances than plaster - which is not to say its impervious to chemical imbalance. 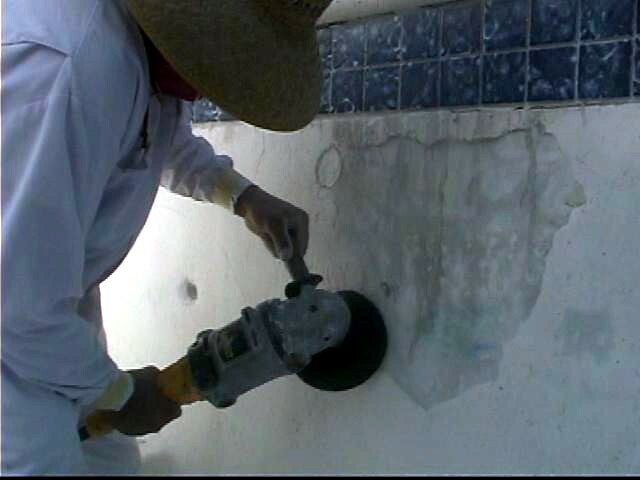 First, loose plaster must be removed and the entire surface of pool sanded. These holes in plaster will also be patched. 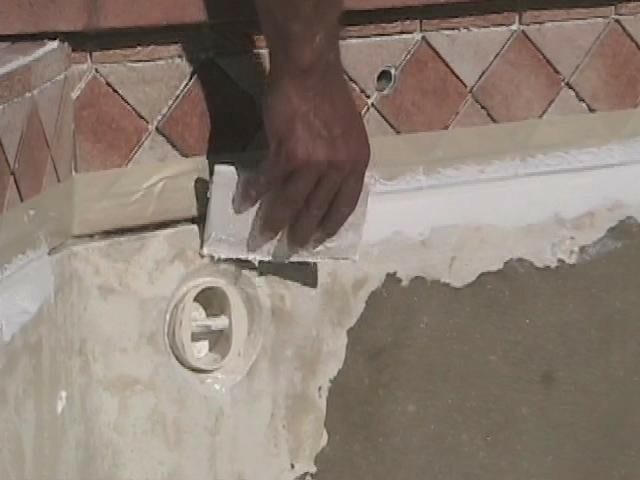 The tiles are undercut for a watertight seal. Bonding coat being applied...you can also see the holes in plaster that have been patched. 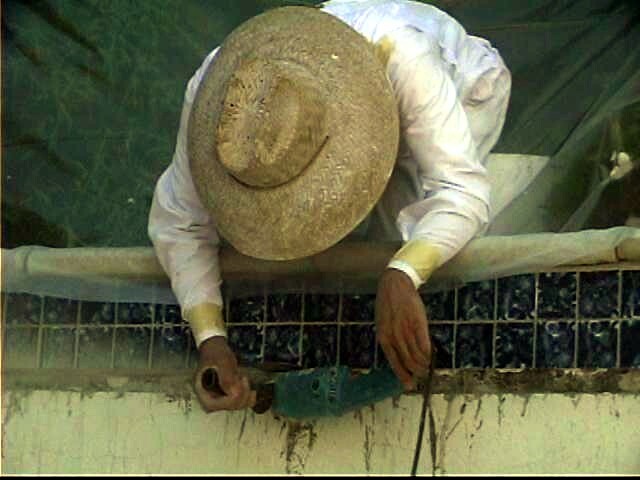 The cut beneath tiles is sealed along with all pool fixtures such as rope anchors shown here. Major cracks are cut out and patched. 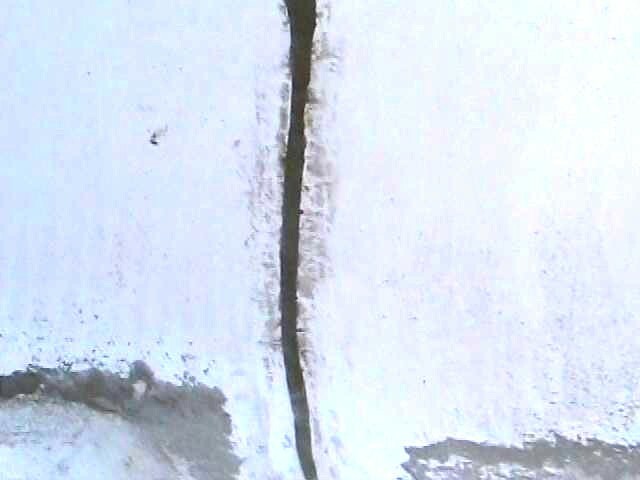 The patched cracks being reinforced. 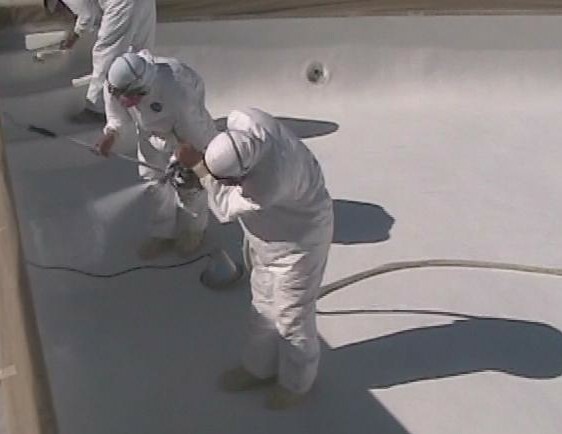 White pigmented resin coat being sprayed on. 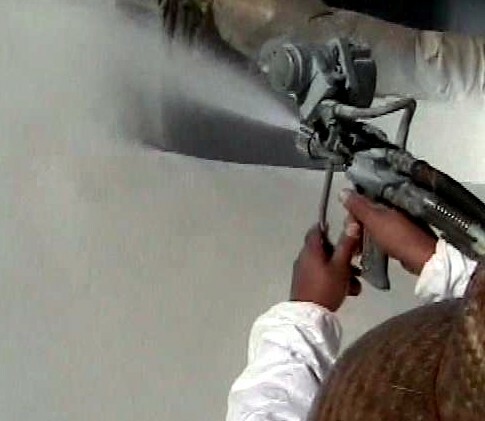 Here the fiberglass is being sprayed out of a gun. 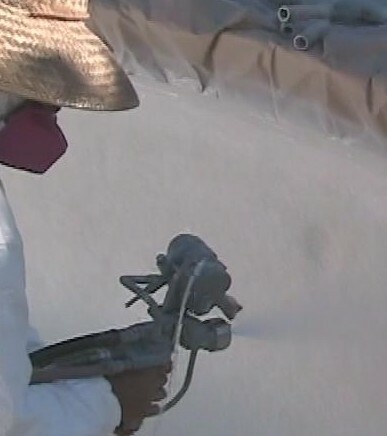 The white line coming from gun is strands of fiberglass being fed into the gun before being mixed with resin and sprayed on surface. The fiberglass/resin coat is rolled to smooth out the surface, then another resin coat applied. Entire surface is sanded before applying another resin coat and then the top coat as pictured in the first photo on top of this page. Altogether, there are 14 steps to this process. 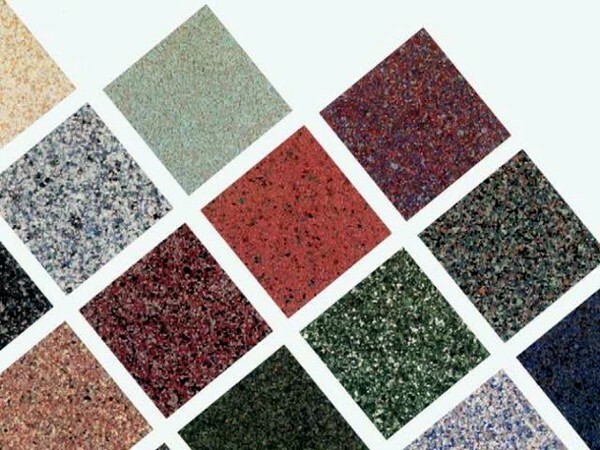 This particular company offers different textures and colors as shown here. If you are interested in resurfacing your swimming pool with a surface like this, please contact me.